My mother is one of my great resources for reading material. She belongs to a couple of book clubs and reads a wide variety of books. This book was chosen as a light read while she was on a recent vacation. 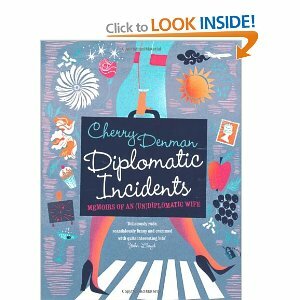 Diplomatic Incidents by Cherry Denman tells about the ups and downs of life in the foreign-service, living around the world and raising one’s family at the same time. Cherry Denman has spent over twenty years as the wife of a British diplomat, spending time in Cyprus, Hong Kong, Beijing and Libya. At times a travel log, frequently a source of advice to prospective travelers and families planning to live abroad, and regularly quite funny, Diplomatic Incidents is an interesting and worthwhile read. Denman describes the difficulties of arriving in a new country, without friends, without a home, without knowing the language or the customs, and then to try to fit in gracefully. 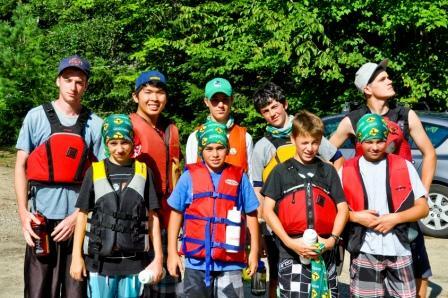 This experience is lived each summer by some campers who come to Camp Nominingue. 20% of our campers come from outside Canada, from the States, from Mexico, from Europe and from Asia. Some of these campers do speak English or French, but some do not; some are arriving in Canada for the first time. At camp, they will live in a platform tent. During the day, the walls may be rolled up to let in the sun and the wind. 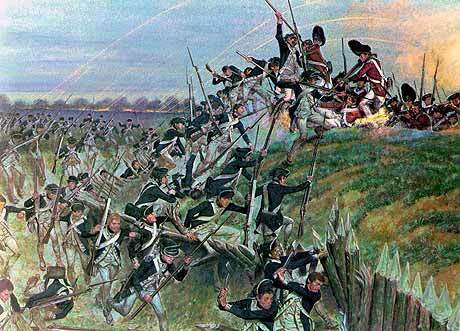 The rain will fall on a fly above their heads; birds and squirrels will be heard and seen from their beds. 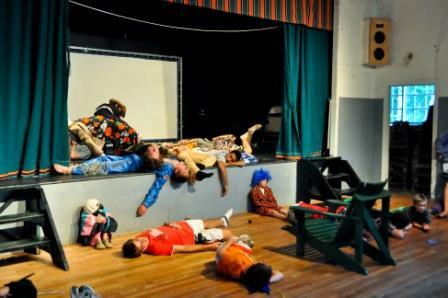 The culture shock that these campers face must be incredible! There is a chapter about toilets in foreign lands. Being from Britain, Ms. Denman is used to having a seat, and a clean one, when it is time to use the lavatory. She describes her attempts to use public washrooms with “holes” in the floor requiring the user to squat, surrounded by inquisitive locals; trying to find privacy in the desert and other bathroom adventures. 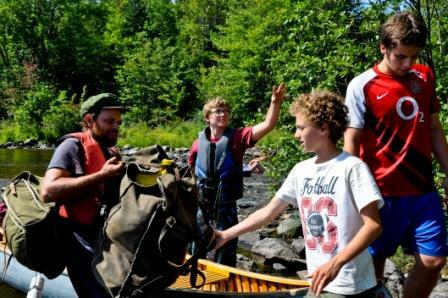 At Nominingue, most campers set off on canoe trips, from an overnight down the lake to a 10-day trip in Parc de La Vérendrye, two hours north of camp. On some camp sites, the Park service has dug a pit toilet and placed a wooden box with a hole in the center. Sometimes there is a toilet seat with a lid, sometimes not. Usually there is a cloud of flies swarming the hole. On other campsites, there is no toilet box, and going to the bathroom requires digging a hole. For a camper heading off on his first canoe trip, I imagine that going to the bathroom can be a novel and maybe forbidding experience. 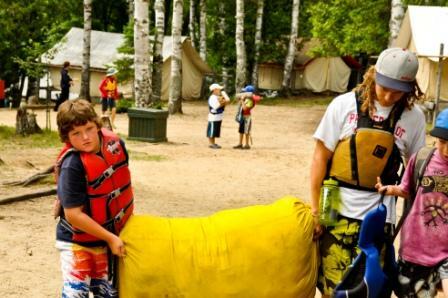 Nominingue is a friendly place that works hard to integrate these new campers into its culture, its traditions and routines. 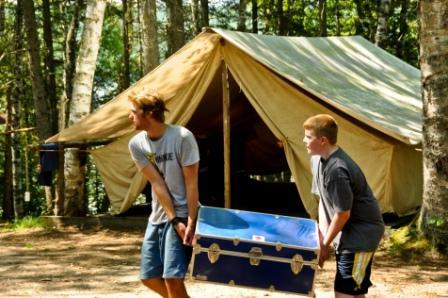 Its staff sets the example and each tent counsellor helps the campers in their tent find their place at camp. The wide variety of learning experiences also provide campers from varied backgrounds with the opportunity to find their niche, to thrive and to feel accepted in this new environment. Many of these new international campers will return year after year to Nominingue, enriching the lives of all the campers at the same time as Nominingue, camp life and the Canadian wilderness enrich and change their lives!